Ethan Sacks looks at the role of the sidekick – from the problematic to the progressive. With J.J. Abrams warping into the Star Wars universe, Ethan Sacks ponders the future of the rebooted Star Trek franchise. Ethan Sacks interviews creators – from Guillermo Del Toro to Stan Lee – about the origins of their ideas. How will the world end? Ethan Sacks counts the ways. Need a superhero? Come to New York City. Ethan Sacks explains why the Big Apple is the center of universe for comics. Ethan Sacks tries to make some sense of the Aurora, Colorado, theater massacre and some of the knee-jerk media reactions it inspired. The Avengers may have a Hulk, but villains like Loki have style, heart and pathos. So stick it, Stark! Ethan Sacks talks to big-screen supervillains Tom Hiddleston and Mark Strong (Sinestro) about their real lives as nice guys. A Planet Where Apes are Animated on Men? Ethan Sacks demands an Oscar nod for Andy Serkis’ motion-capture performance in Rise of the Planet of the Apes. Ethan Sacks shares some thoughts on the midseason finale of The Walking Dead. Ethan Sacks talks to producer Gale Anne Hurd, writer Robert Kirkman and actor Jon Bernthal about Season Two of The Walking Dead. Ethan Sacks interviews Fringe producers Jeff Pinkner and Joel Wyman and star Joshua Jackson about the future of the show. The ride comes to an end as red carpets, Syfy sliders and high scores at Centipede punctuate Ethan Sacks’ adventures at Comic-Con. Ethan Sacks’ Comic-Con adventure continues as he chats with Jason Momoa, the cast of The Walking Dead, Marvel’s Joe Quesada and more. Unwinnable correspondent Ethan Sacks reports on his experiences at San Diego Comic-Con 2011, both fair (Charlize Theron) and foul (everything else). Ethan Sacks interviews Mark Strong (Sinestro) and Ryan Reynolds (Hal Jordan) about Green Lantern, Sinestro and a possible sequel. Kenneth Branagh, We Would Have Words With Thee! 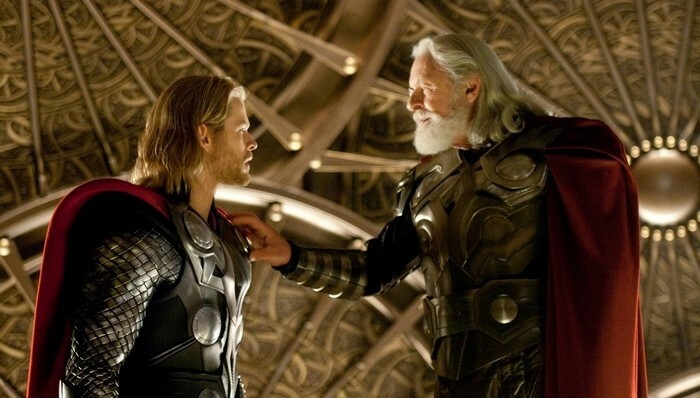 Director Kenneth Branagh tells Unwinnable why Chris Hemsworth is his God of Thunder. Verily, he is Thor! Will HBO series Game of Thrones be the death of genre TV or its rebirth? Show runner David Benioff and series villain Nicolaj Coster-Waldau comment on the show. Call it crazy, but Marvel and DC seem to have run very similar stories. Ethan Sacks takes a look at the eerily similar deaths and reincarnations of Captain American and Batman, arguing that even rivals think alike. Ethan Sacks wonders whether the upcoming slate of comic book movies will usher in a Golden Age or a Final Crisis to the box office.